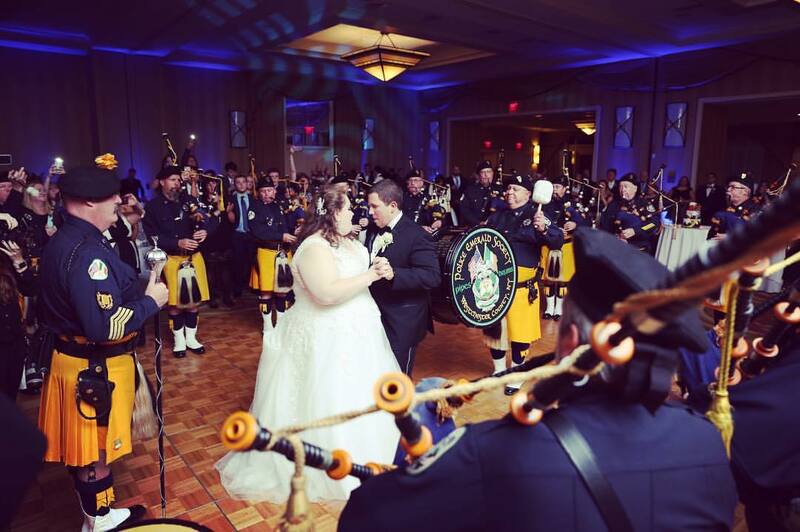 Anthony made my wedding a dream come true!!!! The whole process was so professional and put me at ease. All my guests raved how amazing the music was and they danced all night . The photo booth was a huge hit! Anthony made sure everything I wanted was incorporated and made the Night run so smooth. I am thrilled with my decision and so glad we had the best experience and memories. Thank you sound active events !!!!!! Sound Active made our wedding. Anthony was so easy to work with and helped us out in any way we needed. The DJ, photo booth and lighting was everything and more. We really enjoyed getting all of the photo booth pictures at the end of the night! 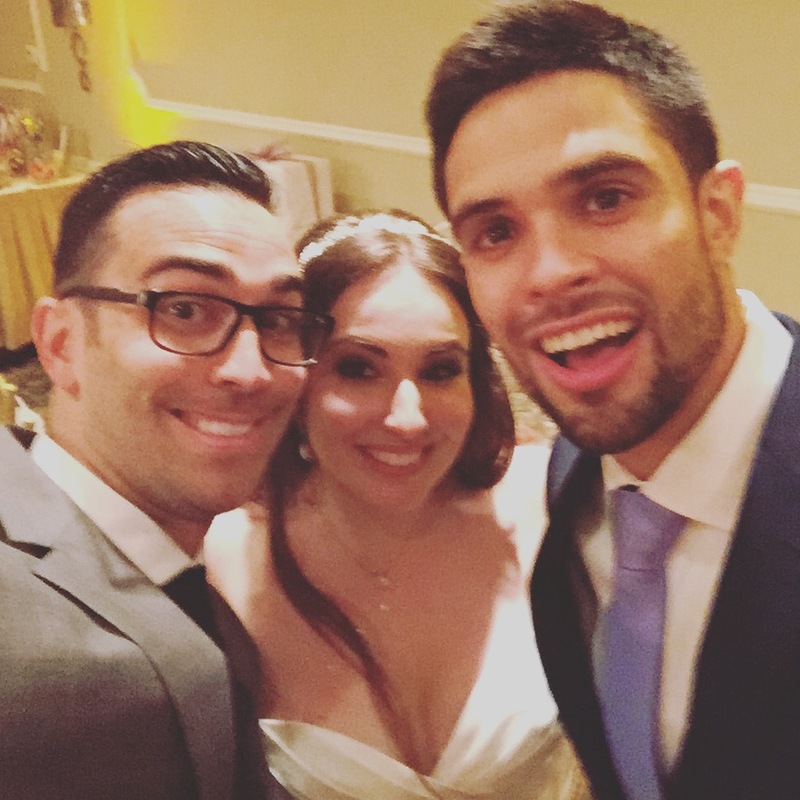 I highly recommend Anthony and Sound Active if you really want to have the best wedding ever! Sound Active was awesome. 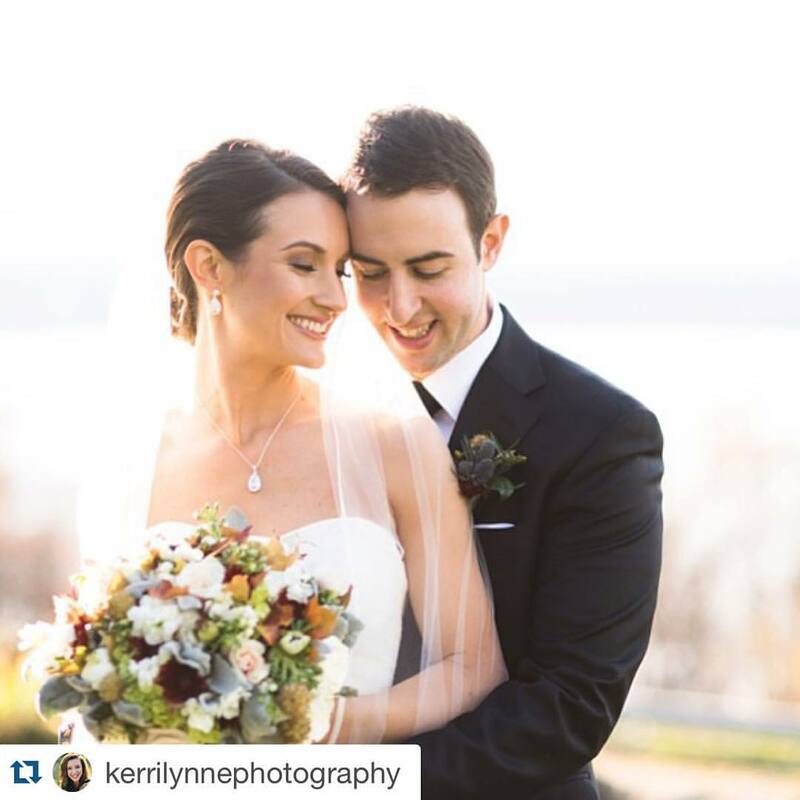 Anthony worked with us through the planning, and ultimately threw an incredibly fun party. 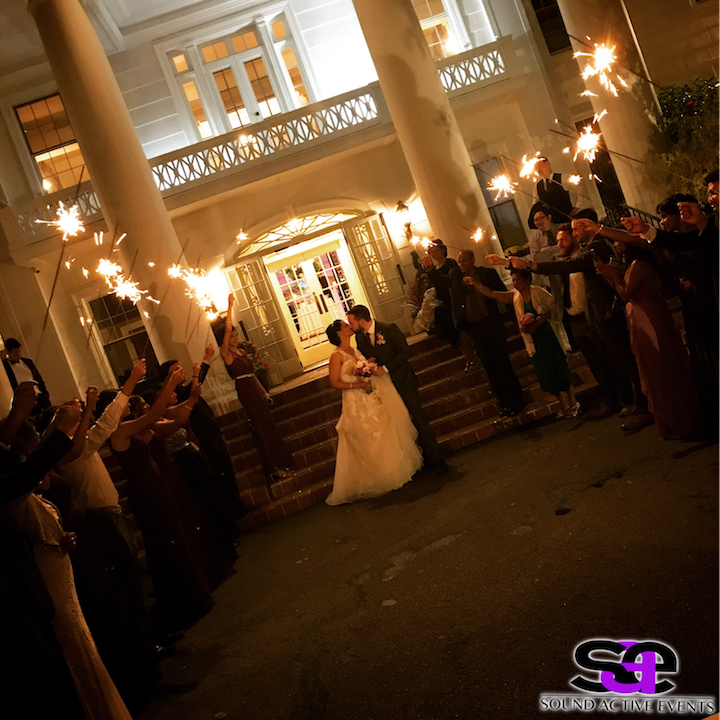 The reception was great, and our guests are still texting us about how much fun they had. We also booked a harpist for our ceremony and a photo booth through Sound Active, both of which were fantastic. 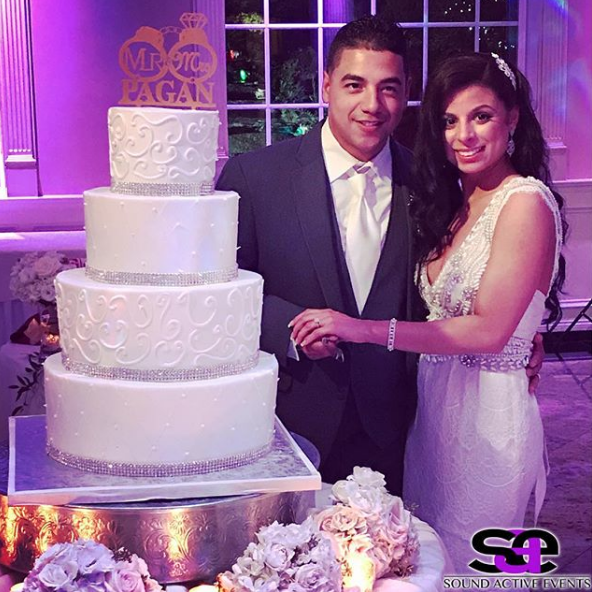 I would highly recommend Anthony to anyone looking to enjoy their wedding night! The dance floor was packed all night Anthony and his team truly know how to get the party started for all ages! 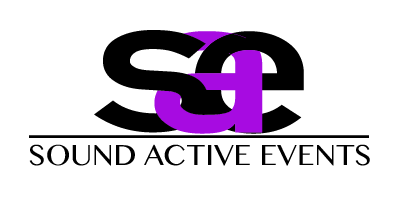 I highly recommend sound active, we will be using them for all of our future events. 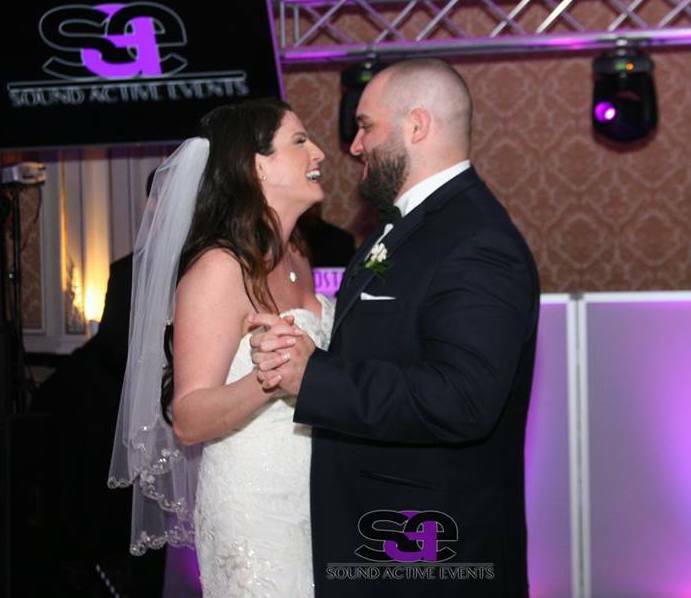 Sound active events was one of the best choices when it came to our wedding! 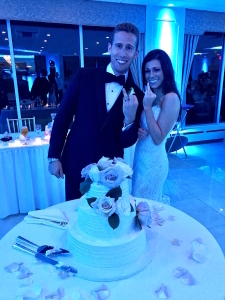 I met Anthony at a bridal show and instantly hit it off, after we met my mom said “you better book him”! Being in the event industry I have worked with many vendors and can easily say Anthony is one of the most accommodating. 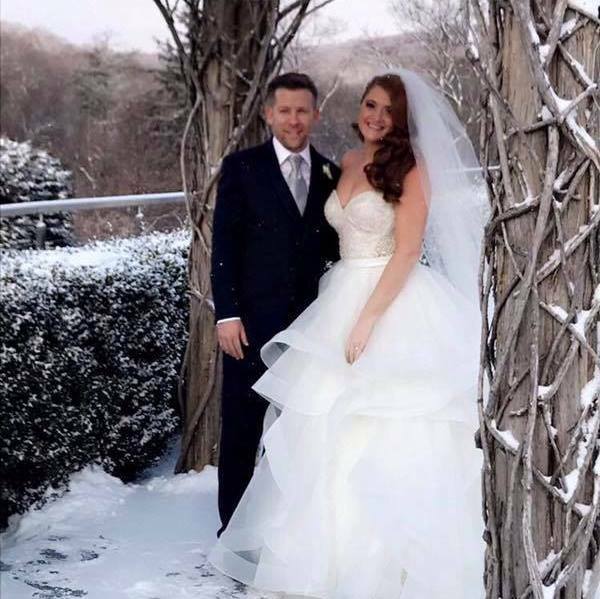 My husband and I dreamed of a winter wonderland wedding so I told Anthony and he gave me snow even though the weather couldn’t! That was one of the highlights of our wedding. SAE’s team is amazing, throughout our entire wedding we had a packed dance floor. Everyone we speak to raves about the music, adding the drummer was definitely a great decision! I promise you will not be disappointed! 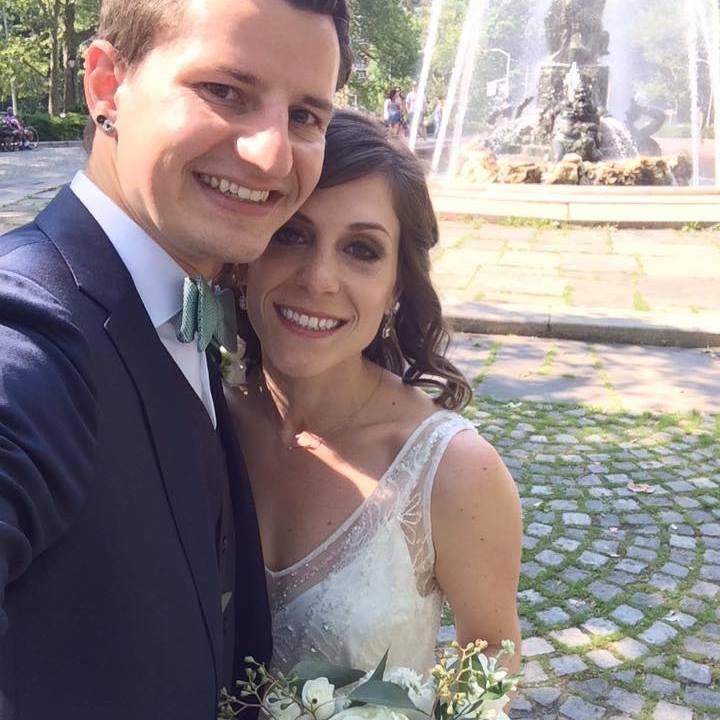 Working with Anthony and the sound active events crew was such a pleasure and gave us peace of mind that we had one less thing to worry about during the crazy planning process! The online forms and meetings made it easy to tailor the experience to be exactly what we wanted and find the right package for our day. 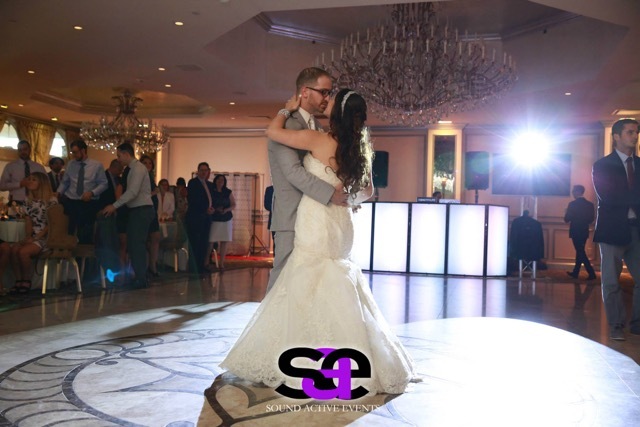 The day of was perfectly executed- our choreographed first dance was sung live by Alyssa , we had a beautiful photo montage, awesome lighting , and of course the music was on point getting guests of all ages out of their seats and onto the dance floor all night long! Thanks everyone at Sound Active for being a huge part of a night that we and our guests will never forget! 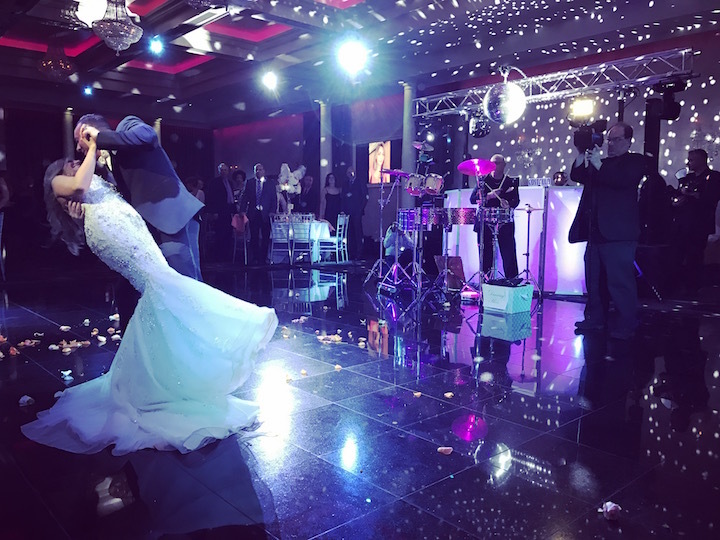 Sound Active was amazing at our wedding September 2017, we had over 200 people and they had almost everyone dancing the entire night! Amazing music, especially the live saxophonist- she got in the crowd and wowed everyone! The photo booth was great as well, and we loved getting an album of all the photos afterwards. We would definitely recommend !! Last minute my Fiancé and I decided to hire a different DJ for our wedding, only a few weeks out! It was such a terrifying jump to take, but I’m SO glad we did! From the moment we emailed Anthony at Sound Active events, I knew we made the right choice. He was beyond helpful throughout the process and I never doubted anything for our Big Day! You can’t go wrong with the SAE Team! I got so many compliments on their MC, DJ and song choices throughout the night. One of my guests told me it was the best DJ they had ever heard! If you’re looking for a DJ and you don’t want to have to worry, Sound Active Events is the way to go, you won’t be disappointed! Anthony and Sound Active Events were amazing! 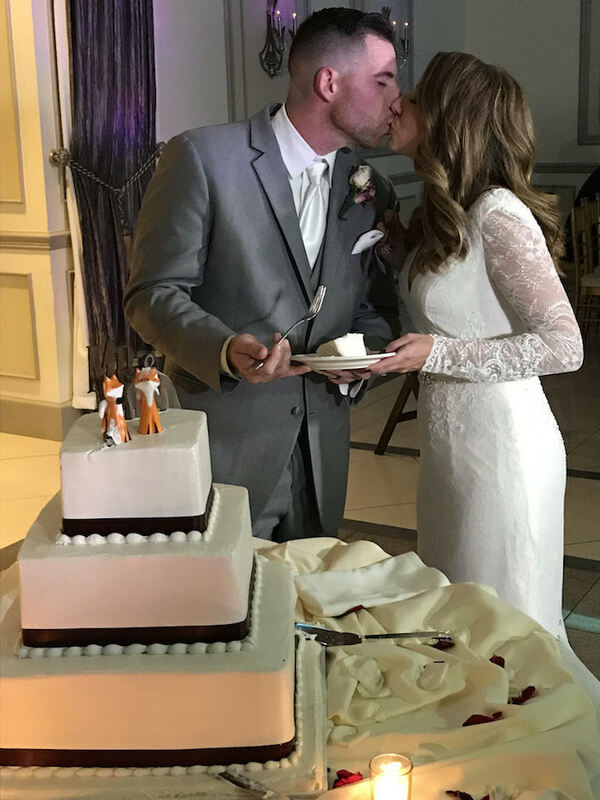 They made our special day the best day ever! Sound Active made sure to mix the music so that everyone enjoyed it and had fun! They also played my favorites and even downloaded one at the venue so that I could have a special dance with my brother! The dedication and strive for perfection was met in every single detail. Anthony especially made sure that we were happy all night by checking in with us and letting us know when significant moments in the timeline were about to happen! Amazing! Everyone in our families are still talking about the music, the dancing, and the party! Thank you Anthony and Sound Active! You made our night more amazing than we could have imagined!!! Anthony made this part of our wedding planning so effortless from the first day we met with him. He and his team kept us dancing all night long, we literally didn’t sit down once! 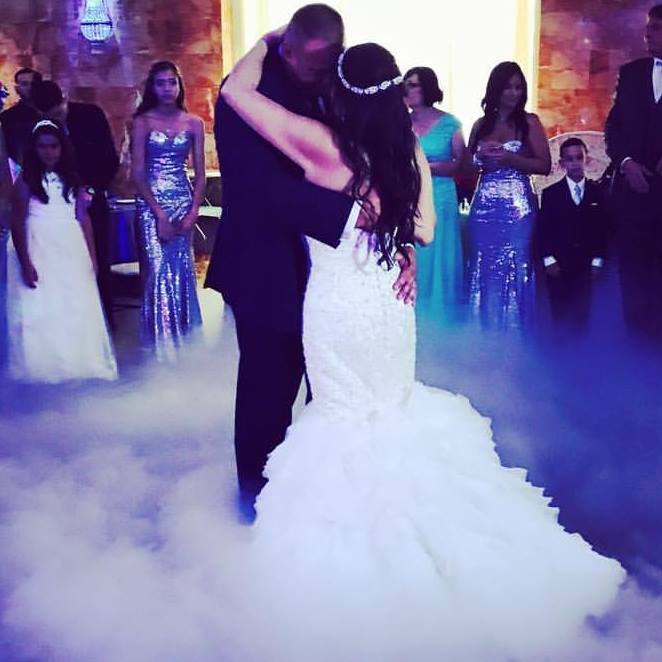 The smoke machine for our first dance was perfect and made for some really beautiful pictures. And the photo booth was definitely a nice touch. Thanks again for such an awesome night! 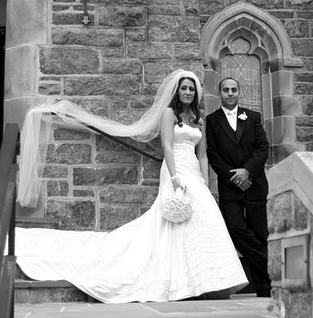 Anthony, thank you sooo much to you and your team for making our wedding day even more special! You guys really outdid yourselves and surpassed our expectations! Kev and I danced the night away thanks to the amazing sound active team! In all the craziness leading up to the wedding I was so happy that i didn’t have to think or worry about music/ coordination of events. You guys killed it and made our night unforgettable! ps- the photo booth was awesome and Kev and I couldn’t stop laughing as we looked through the photos and saw the fabulous props! 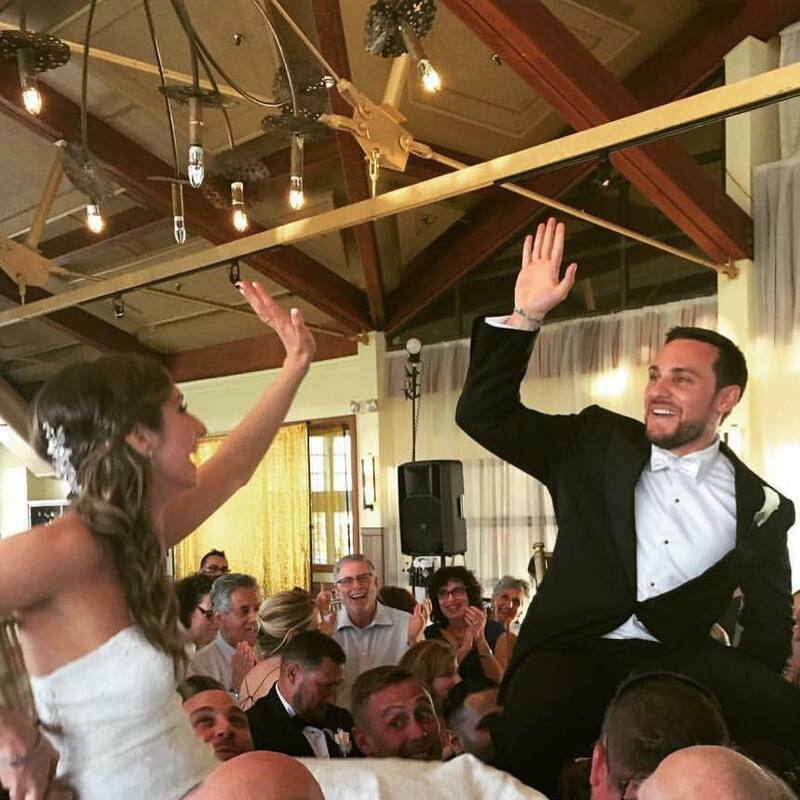 When we began researching DJ’s for our wedding, I quickly came across Sound Active Events and inquired. Anthony responded almost immediately (most likely working from home as it was a blizzard outside) From his first contact through to the last song at our reception, Anthony was energetic, attentive and flexible. He listened to all our questions and ideas and gave honest feedback. The client portal on SAE website made music planning a BREEZE. We were able to manage our song selections, create a do not play list and find suggestions when we were indecisive. The client portal was specific and detailed. 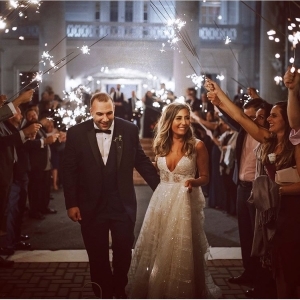 When it came down to the final days before the wedding, Anthony called us and we talked through every single detail to ensure a seamless reception. When our wedding day arrived, the SAE crew did an amazing job! Our guests were up and dancing all night long! The photo booth had awesome and original props. We had 2 personally designed GoBo images since we couldn’t decide on just one. Matt our sax player did a great job moving around the reception adding a touch of live music. At the end of the night, I walked out of Whitby Castle with my own USB bracelet full of candid photos capturing the highlights of our wedding. SAE is the complete package! If I need a DJ again, SAE is the only company I’d call! There are a lot of companies out there that can have the right equipment and say the right things, but what sets the team at Sound Active Events a part is that they deliver on 100% of the things they say they can deliver on. They are kind, knowledgeable, and hard working from beginning to end. 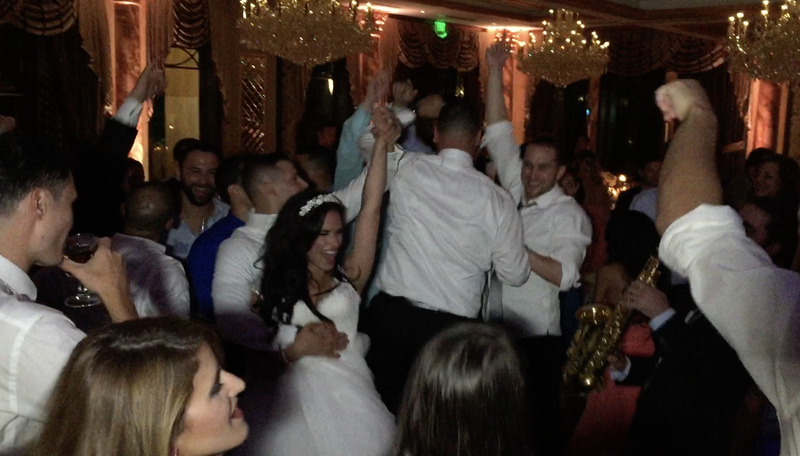 Every one of my guests said DJ Shortkutz was the best DJ they’ve ever heard at a wedding. He had every one out of their seats from the young to the more seasoned crowd. My guests also loved the photo booth and it was amazing to see all the pictures at the end of the night. 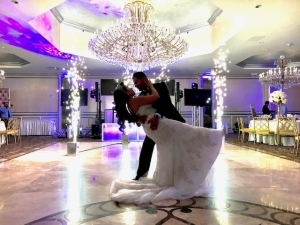 I’d work with Anthony and his team again for any party that I throw in the future and I’d recommend them to any of my friends that need a DJ, Photobooth, Lighting, etc…… their prices are fair, if anything for the amount of work that they put in for your wedding it almost feels like you don’t pay them enough. They are just that good. They are also just really great people who truly care about making your day a special one. 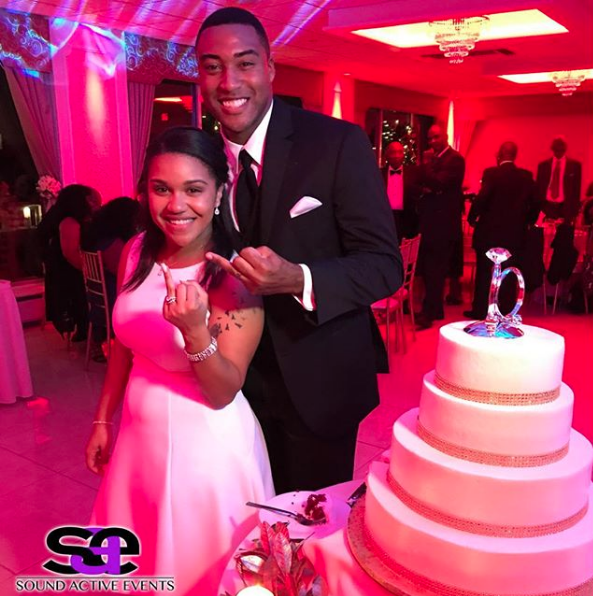 If you’re looking for a company that will put in the hard work and consideration for your special day then this is definitely the company you should be getting in contact with immediately. 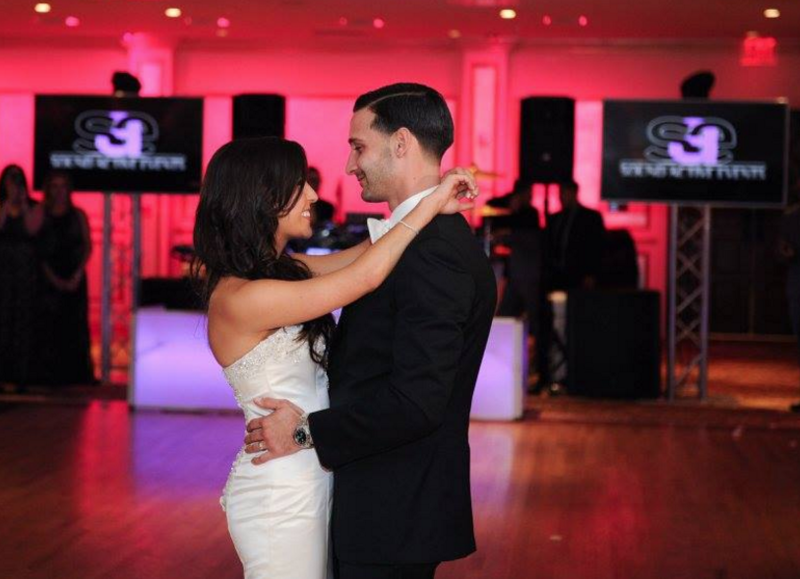 Sound Active Events did such a terrific job for our reception! From start to finish! I met with Anthony when we started planning. He was so organized and prepared. 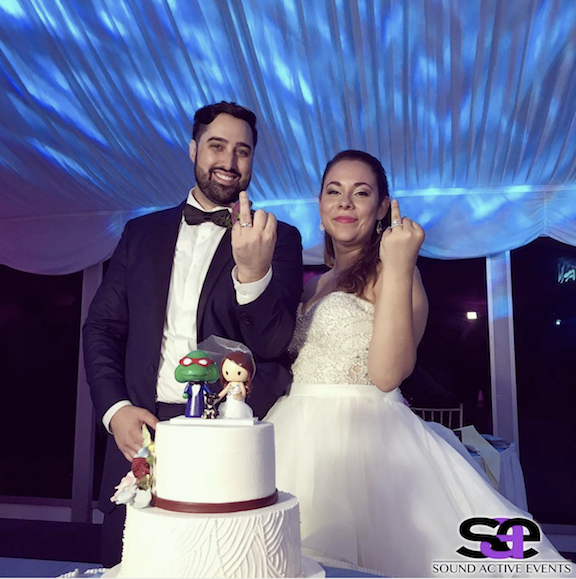 He listened to what I had in mind, made terrific suggestions, and offered his opinion based on experience which made our reception great! Most importantly, he let us know that he and his group could handle anything and that we could rest easily knowing our event was in their hands. DJ Shortkutz and the MC were so great! Our dance floor was packed the entire evening — with everyone from the club party crowd to grandparents! 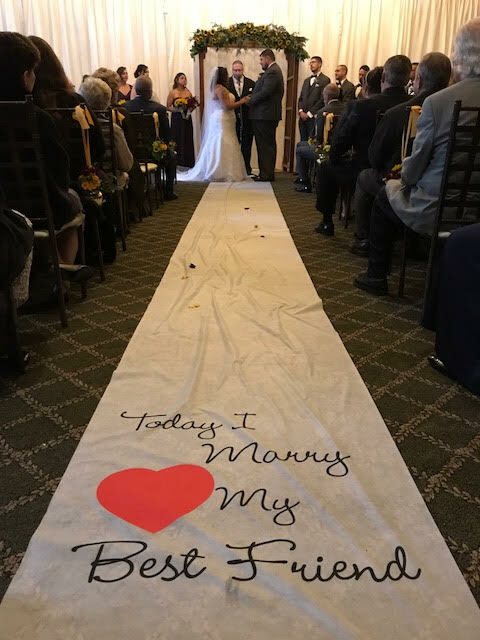 Plus, they were able to roll with the flow to make everything go well, even when someone showed up for the bridal party announcement as we were walking in and had just told them they weren’t coming! They were perfect! 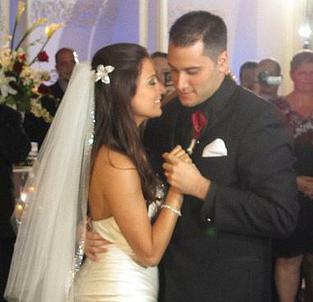 We took their advice on some events like the anniversary dance — listening to them brought tears to our families eyes! The lighting was perfect. We also got the photo booth. 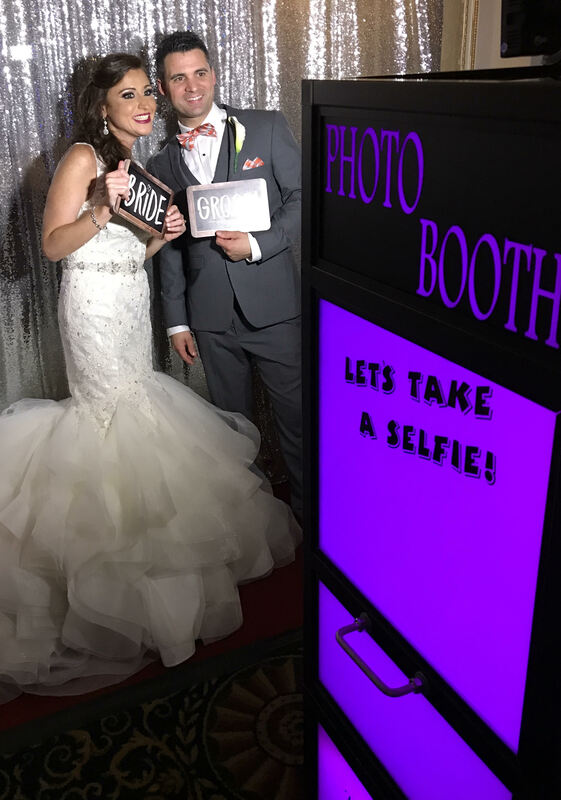 So many of our guests told us how much they loved our photo booth and how much better it was than others! You’re in good hands with this amazing group. I seriously cannot say enough good things about the guys at Sound Active! Anthony made the whole planning experience easy and care free. I am so happy we picked them, it was such a party! We were having so much fun dancing that we didn’t even want to sit down and eat. You will never stress and you will have amazing memories to last a lifetime! 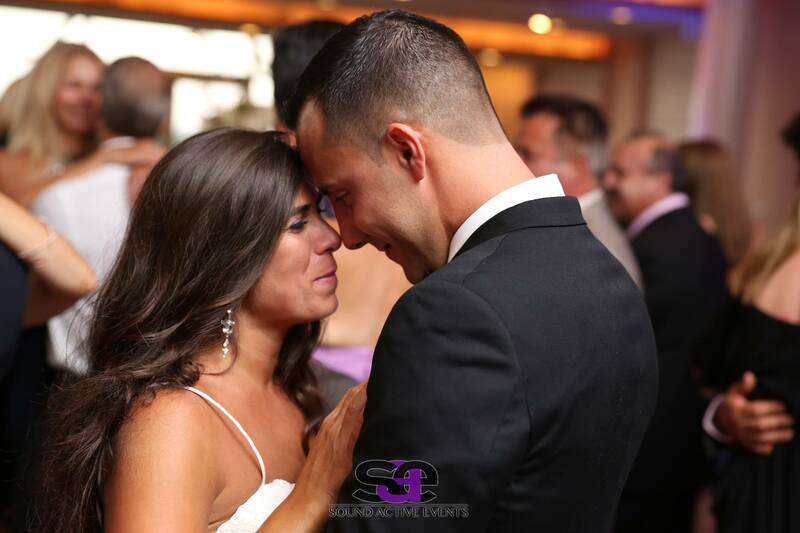 Anthony at Sound Active Events was such a pleasure working with! He definitely held up his end of the bargain in bringing the entertainment! 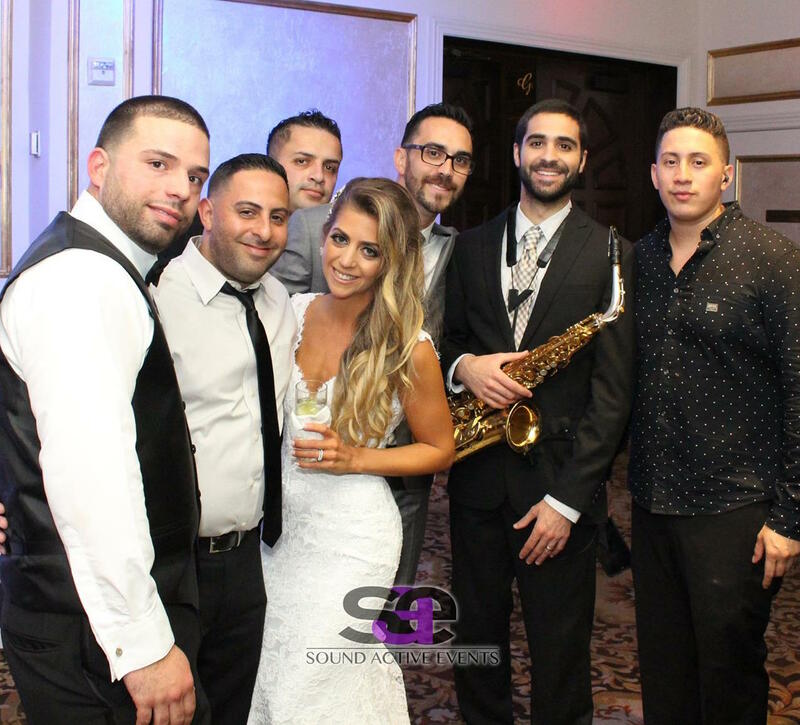 Sound Active Events offers a multitude of services, one of which we chose – a sax player. She was the big hit of the night.. she got in with the crowd and played along with the DJ. Anthony, the MC, was so upbeat and got our wedding guests up dancing the whole night. 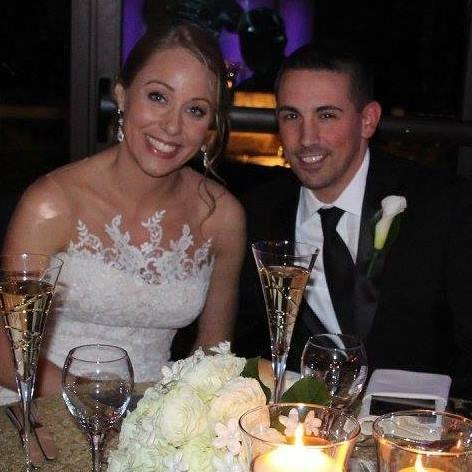 Prior to our wedding, Anthony made sure to contact us to go over every last detail to ensure that our wedding night went as smooth as possible. Sound Active Events even offers a website through which you can help personalize the night as much as possible. I would highly recommend Sound Active Events and hope to go to a wedding where my husband and I can enjoy you all again! The complete entertainment package! 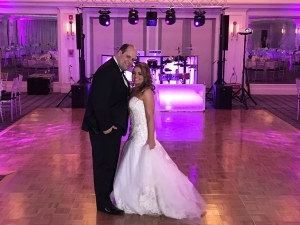 Anthony and his team recently provided all of the entertainment for my wedding in September and did a fantastic job! Very organized, prepared, and most importantly puts on a great show for your guests! 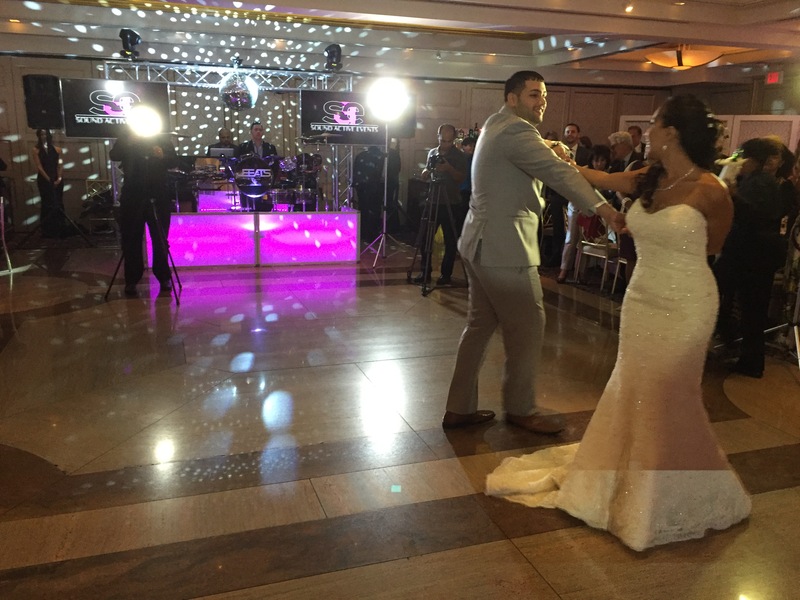 Anthony ensures that the bride and groom exactly what they ask for – that is very important when selecting a DJ. It is not a “generic” experience. Sound Active Events provides top notch equipment and a beautiful setup- music is fantastic, and Anthony controls the mic and the crowd very well. Seasoned. 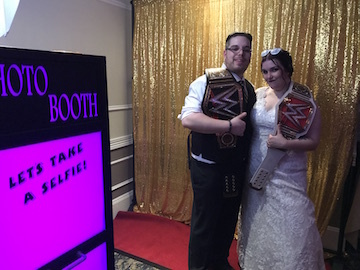 Also, Anthony provided a photo booth which was awesome – definitely recommended! Good job Anthony and team – keep up the good work! Amazing! Seriously so so happy with the music and the lighting, everyone that we talked to after our wedding said how good the music was. Halfway through the reception my husband and I were like omg the dance floor is awesome, it’s non stop. Great to work with, personalized attention and never rushed. Can’t wait for the next event, you guys were amazing. Anthony and the rest of the Sound Active team are absolutely the best! We hired them for our wedding that just had on Friday, Oct. 13th. From the day we set up our initial meeting all the way through the end of the wedding, Anthony made sure everything went perfect. 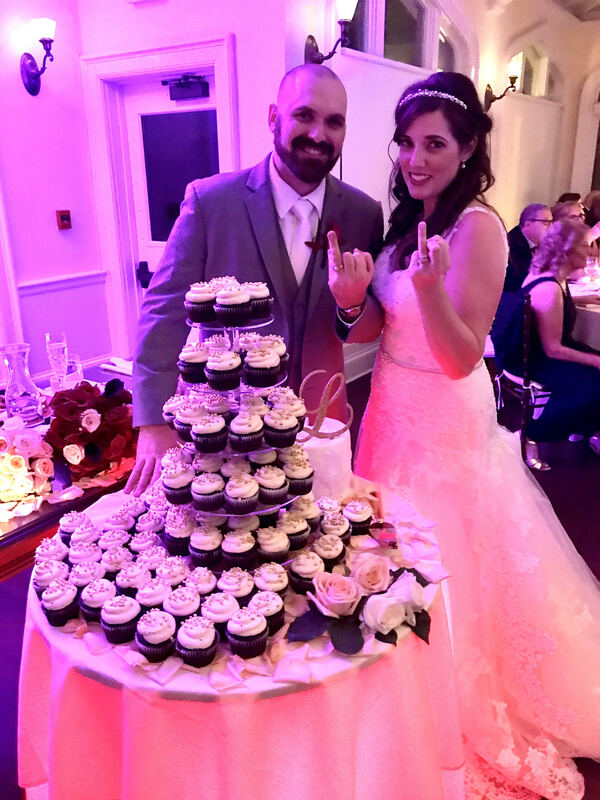 The online form for choosing all of the music and introductions made my job as the bride so easy! He even convinced my husband and I that the photo booth we originally thought we could do without was actually more for our guests then for us. And I am so happy we listened because we had a wedding that included some kids and we are so happy they were able to enjoy the photo booth throughout the night. (The adults had more fun than the kids I think) Trusting a DJ to play the music you want to hear is tough, but Anthony really knows what he is doing. Everyone was dancing the whole night! 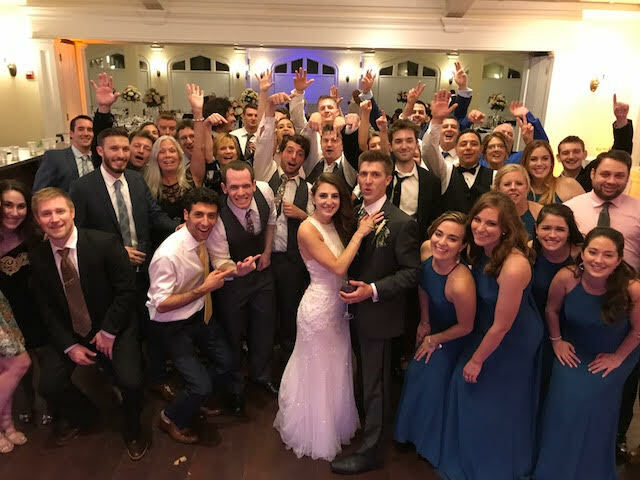 So many of our guests told us that it was the most fun wedding they have been to in a long time and I am so happy Anthony was able to make that possible! When we need a DJ in the future we will definitely be using Sound Active again and again! Thank you Anthony, Stefano and Kevin for your amazing work. My guests were dancing all night and the Kevin’s Sax solo during Bill Medley’s Time of my life song was the best moment of the evening. You were all so professional and organized. I love having the client portal to keep upto date and have a visual list of the music for the day. You won’t regret choosing this team, check out their Instagram and you will see all the fun your guests will have!! 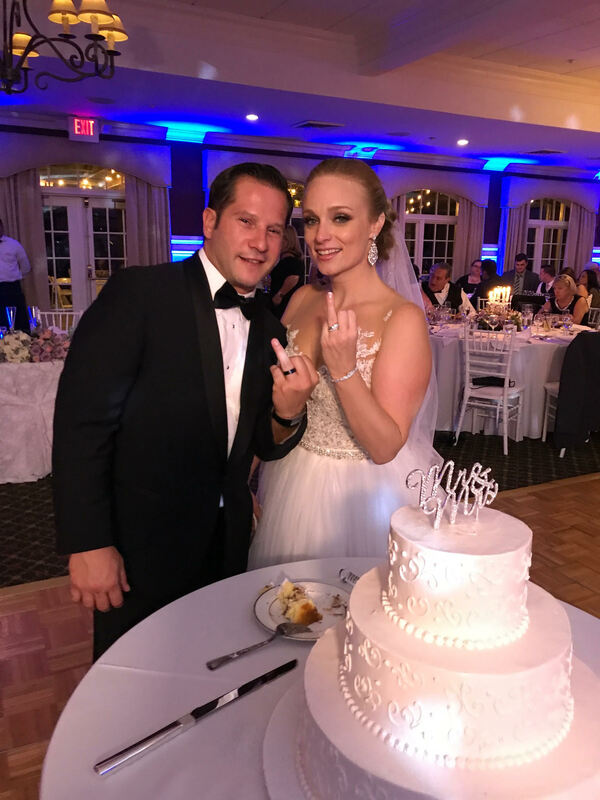 We could not have asked for better entertainment at our wedding on 9/2/17. From the moment we met Anthony Costello at his office we could tell he not only had the experience we were looking for but genuinely cared for his clients. 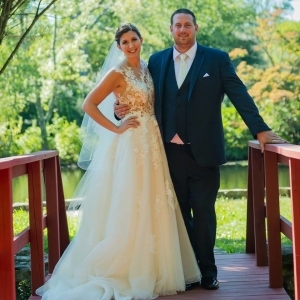 Anthony is a true professional and removes the stress of choosing one of the most important (if not THE most important) vendors for your wedding right away. He is extremely organized and easily accessible answering any question that came up along the way offering valuable suggestions. There’s a reason Sound Active has so many awards and we were fortunate enough to learn first hand. 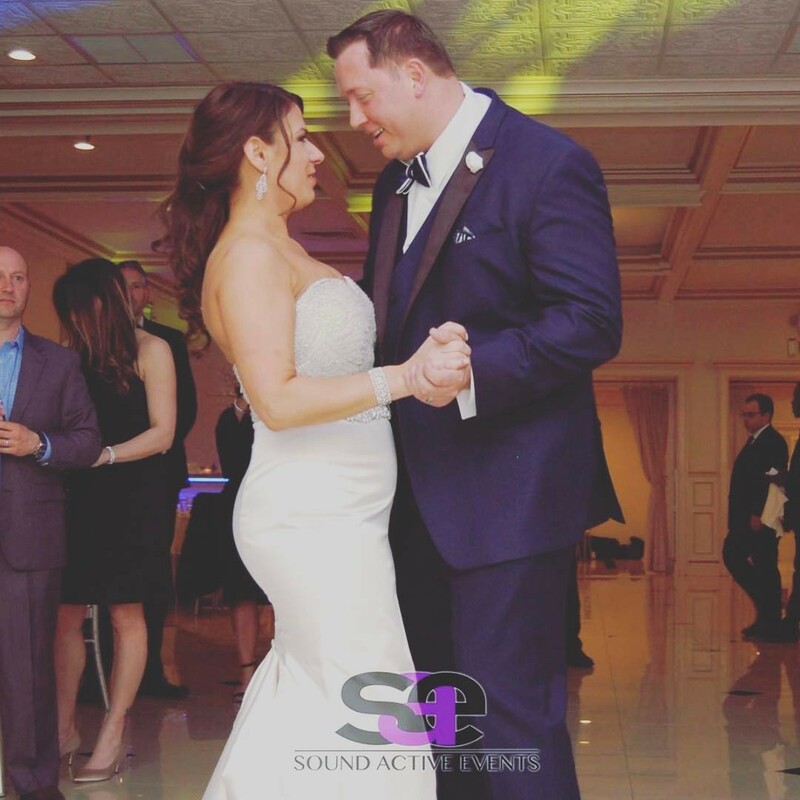 We received nothing but compliments about our entertainment and would highly recommend Sound Active Events for your wedding. BEST IN NEW YORK!! Words cannot describe how incredible Anthony and his team are! 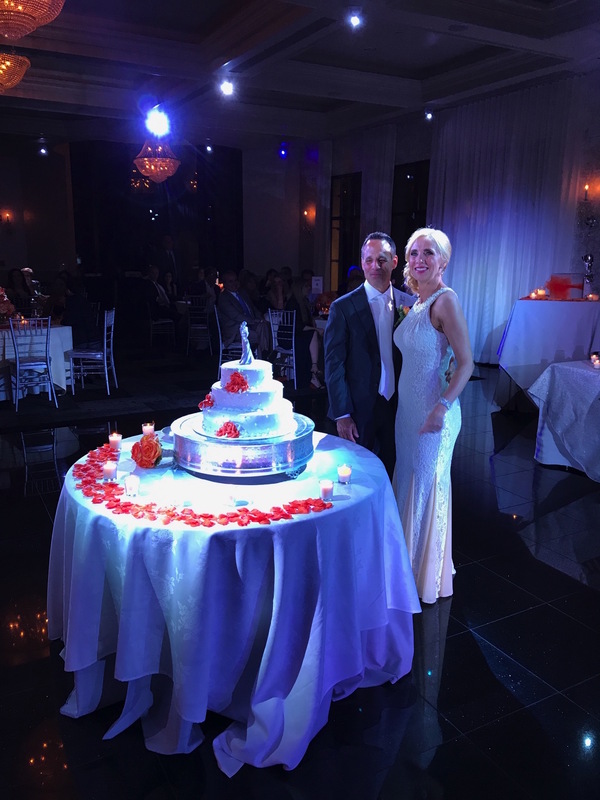 From the user friendly website to add details of the big day down to the very last song played, Anthony and his team made it all ABOUT ME! Throughout this process leading up to our wedding, Anthony made sure that every detail was EXACTLY the way I wanted it. His dedication to making his clients happy is truly amazing. Anthony and his crew left all my guests wanting MORE. I have had no stop calls from my wedding so guests asking for his info so he can DJ their weddings. His demeanor is unlike any other. I would recommend SAE to EVERYONE I KNOW!! Thanks again guys- you left everyone speechless!! Sound active had the party going at my wedding all night. Anthony was a pleasure to work with. Everyone at our wedding kept coming up to us telling us how our DJ was on fire. Thank you guys!! Anthony and his whole team were amazing! Starting the evening with Nina on the harp during the ceremony, it set the perfect tone and fit absolutely beautifully with our venue. Then through the reception the entire wedding was out on the dance floor for really the whole night! They had everyone so pumped and excited, it couldn’t have been any better! Already have had guests letting us know how fantastic they were nearly every day since the wedding almost 2 weeks ago. Perfect dj for a crowd that loves to dance! My now wife and I were very happy with Anthony and his crew. Great music selection, taking of requests, the Horah, and the volume was appropriate for dancing and lower for dinner and everything was perfect. Anthony was easy to deal with, punctual and up front about costs and what we needed to do for the ceremony, introductions, lighting, a photo slideshow, etc. etc. etc.! We loved the photo booth, too! Would happily work with them again. When we got engaged the first thing we booked was our DJ and that was obviously Sound Active Events. 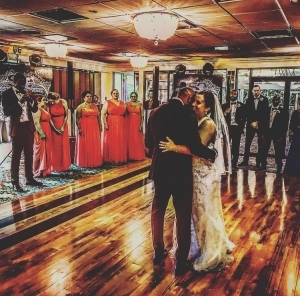 Music was one of the most important things when planning our wedding because both mine and my husbands family love to dance. Choosing Sound Active Events was without a doubt the easiest choice to make during the planning of our wedding. 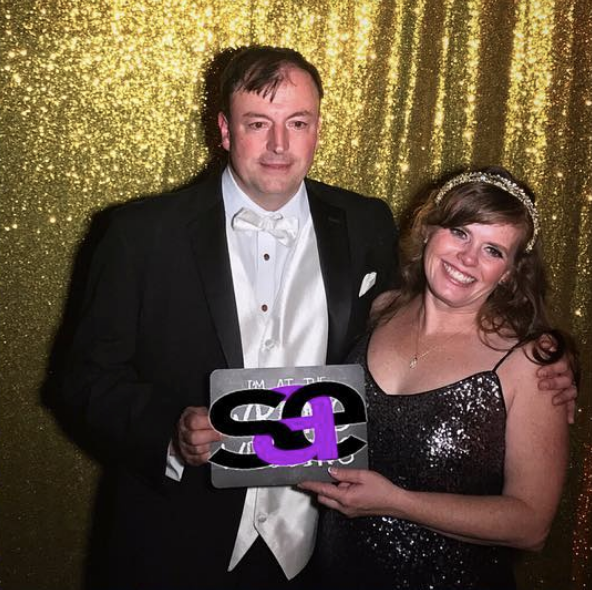 They are the best in the DJ’s in the business… I am still getting compliments on how our wedding was a blast! And that is of course because we picked the right DJ. This isn’t the first time my family has used them and it certainly won’t be the last. Can’t wait for the next family party! 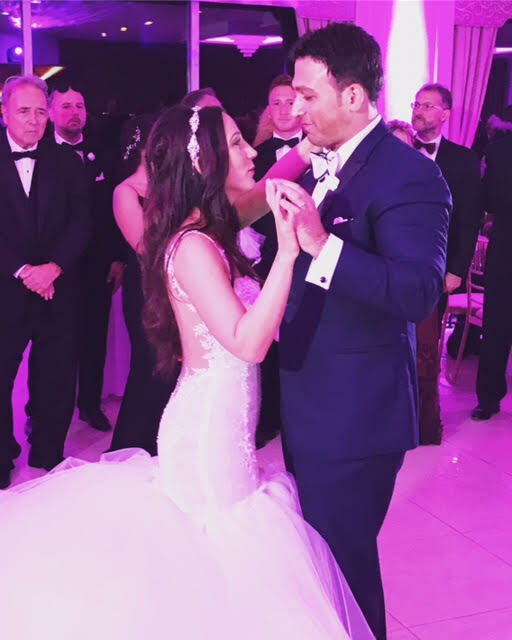 As someone who has attended almost 50 weddings I know how important music is in making the night incredible and I had extremely specific requests and even higher expectations from Anthony and his team and they more than delivered! People were on the dance floor from the first dance and literally never left–all of the attention to detail made the night truly perfect. 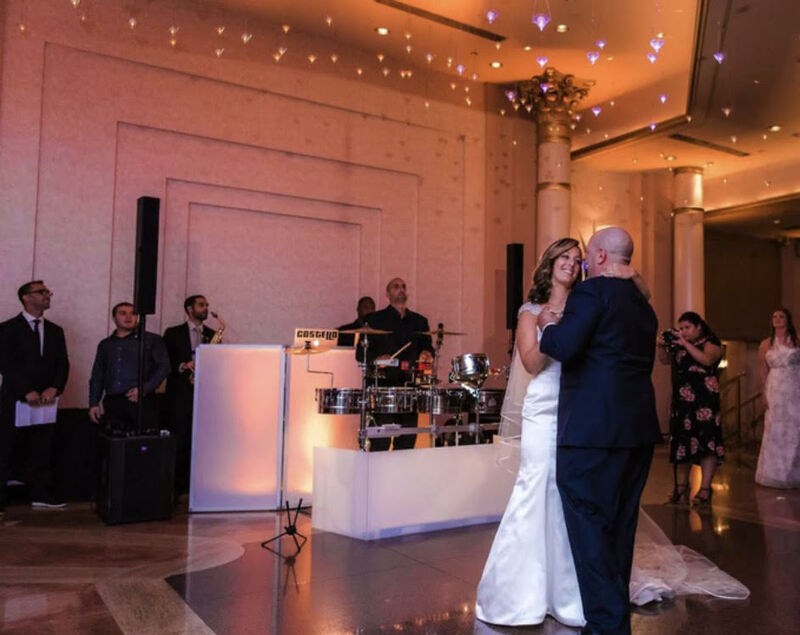 The addition of the singer, sax and the DRUMS seriously was more amazing than words can ever say and I highly recommend adding them in-you and your guests will not be disappointed! I attended a wedding 2 years ago and Anthony and his team stuck out to me because they had the crowd going all night, when my sister planned her wedding last year I got his contact info because of all the weddings he still stuck out to me-people are still talking about her wedding and are still sore from all Of the dancing at mine-choose sound active -you will not be let down! 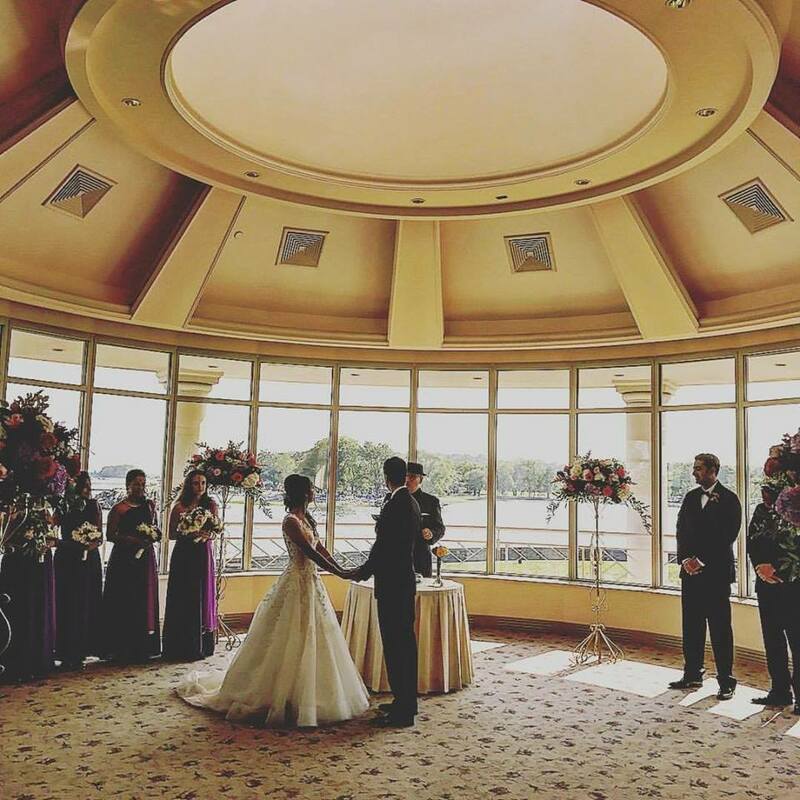 Anthony created a spectacular reception experience for our wedding on August 27th, 2017. He had people dancing all night long, and truly understands how to create the party experience. The violin trio for my ceremony was a beautiful addition, and he made sure to accommodate all my special music requests (including providing fog effects for our unique light saber first dance!). 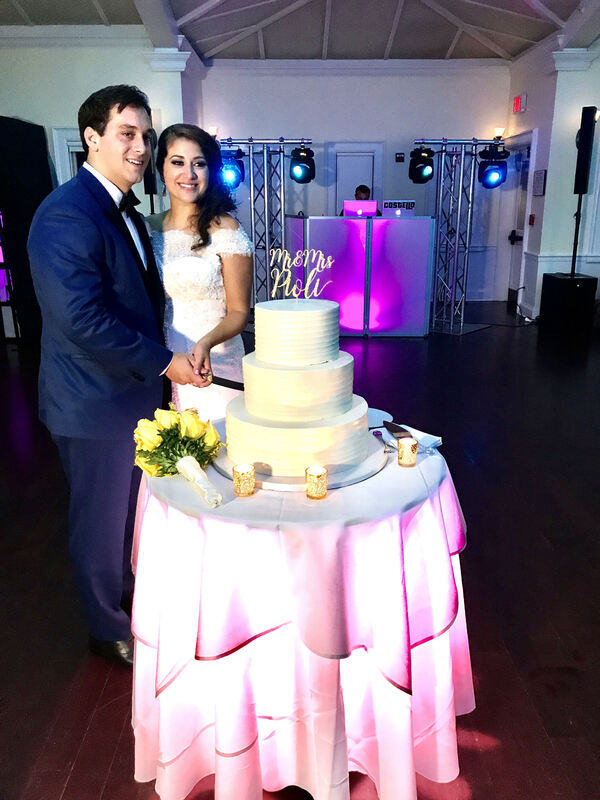 He had some really creative ideas and his outstanding attention to detail kept our reception moving along smoothly – there was never a dull moment! Thanks to Anthony, our MC, and the violin trio for providing an exceptional experience for us and our guests!! Anthony and your crew,,,,,you ROCK!!!! You made our day a nonstop party event. 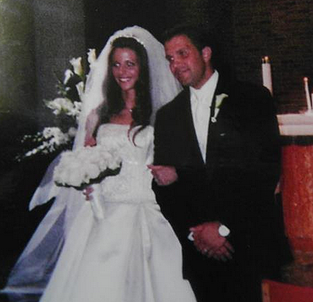 Everyone at our wedding said your were the best DJs and entertainment they had ever witnessed. Your music, the drums, the photo booth, everything was great. you guys are awesome. Thank you Thank you Thank you..
SAE made our wedding truly unforgettable, and sensational. The pre-wedding meetings gave me the confidence to know that we were in great hands and that SAE knew exactly what we wanted. The ease of use of the web site made it simple and effortless for us to detail and personalize our event. Everyone danced all evening, the lights and music, combined with sound of the live sax and percussion made it a one of a kind event. SAE even offered us a full photography package and our pictures are amazing also. I can’t convey how happy I was with their services, it made it simple to do it all under one umbrella; I so appreciated their attention to detail with emphasis on ensuring our wedding be one of a kind, while making sure to grant our every request, made our day and evening everything we dreamed it would be, with the pictures to prove it !!! !..SAE has my highest recommendation! The BEST. 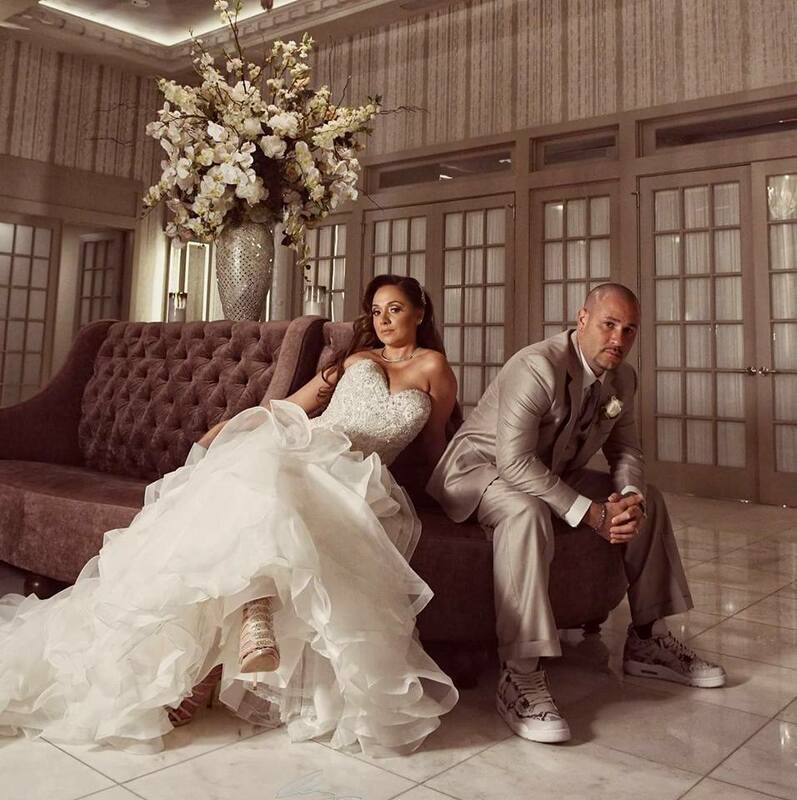 I did not have to worry about anything on my wedding day in regards to music because I knew Anthony and his crew had everything handled. Even the customized parts of my wedding were flawless because of Sound Active! “Let me start off by saying that this review is way overdue! Anthony and his team were phenomenal. Their energy alone made our night picture-perfect. Going above and beyond is understatement for this crew, “flawless” is the word I would use when describing Sound Active Events. 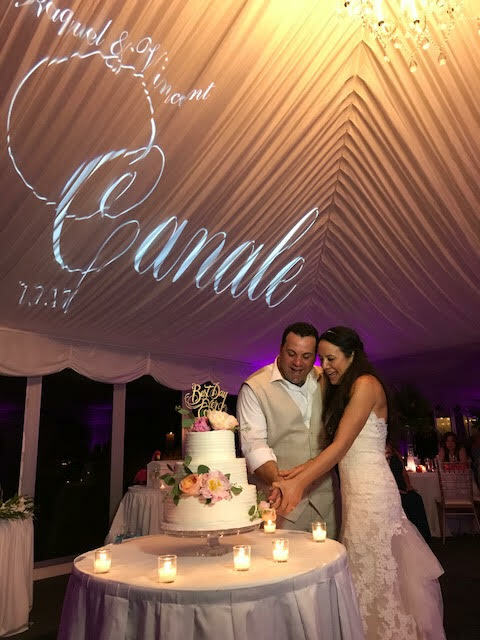 We used Sound Active Events for our wedding (DJ, Photo Booth & Candid Shots)- and they were AMAZING! I couldn’t have been happier with everything. They read the crowd and everyone has been telling me how much of a great time they had. DJ Nick and MC Anthony were awesome. We would highly recommend them. “EXTRAORDINARY…Sound Active Events deserves more then a 5 Star rating. They did an OUTSTANDING job at our wedding. Anthony and his crew were super professional and efficient in every way. Between Anthony’s energetic MCing skills and DJ Shortkutz mix of beats, the knew how to keep a constant vibe all night. Shotkutz just killed it with the music…bringing us back to some great times in our lives. We had an absolute blast on the dance floor all night long. IMPECCABLE TIMING…the entire day into the night ran smooth. Not one detail was left out and every moment streamed flawlessly into the next. 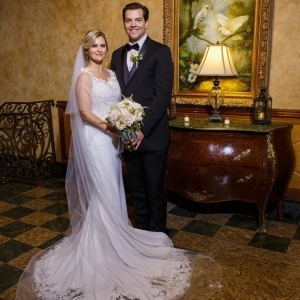 Anthony was extremely organized and accommodating from the beginning to end. 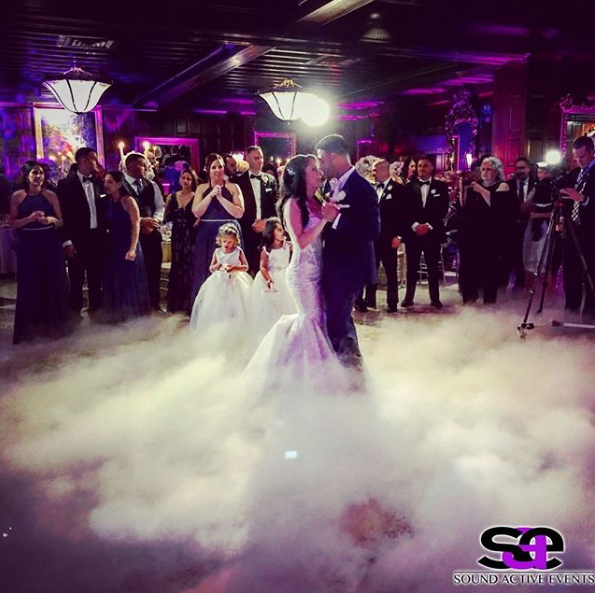 TRULY the BEST in the business…trust us book SAE for your next event/wedding, you will not regret it! 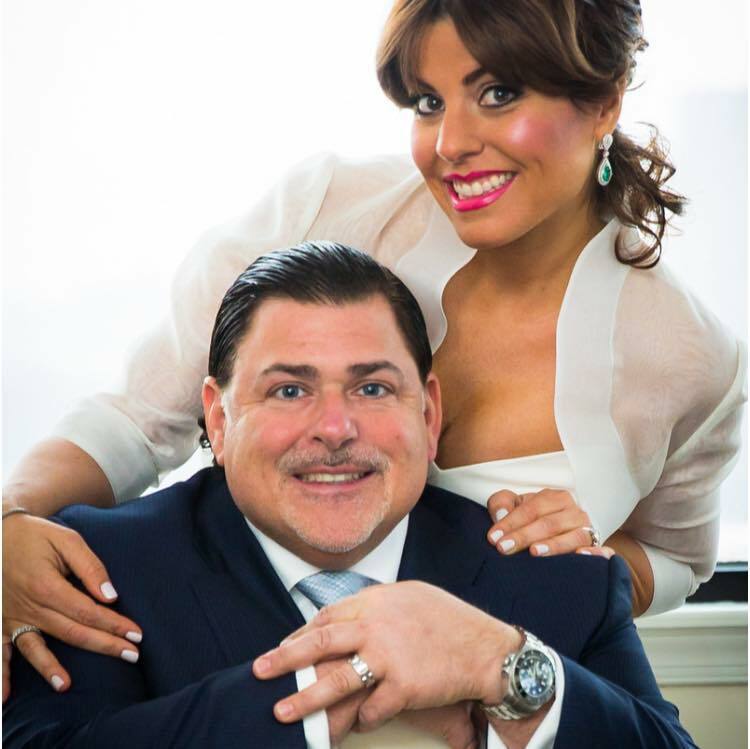 When Steve and I got engaged, we knew who to call: Anthony with Sound Active Events. Anthony has been DJing for parties since as long as I’ve known him. He DJ’d my Sweet 16! 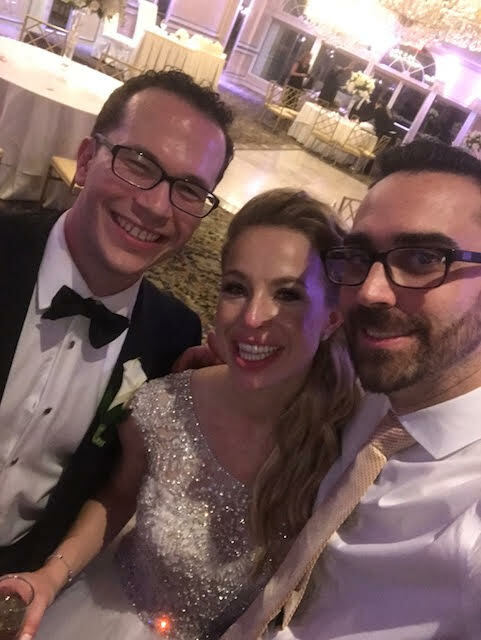 When I called Anthony, I was hit with a “I’m booked already for you date…but I have an amazing team.” He set us up with Joey to DJ our wedding and he was AMAZING, as promised. The dance floor was never empty. 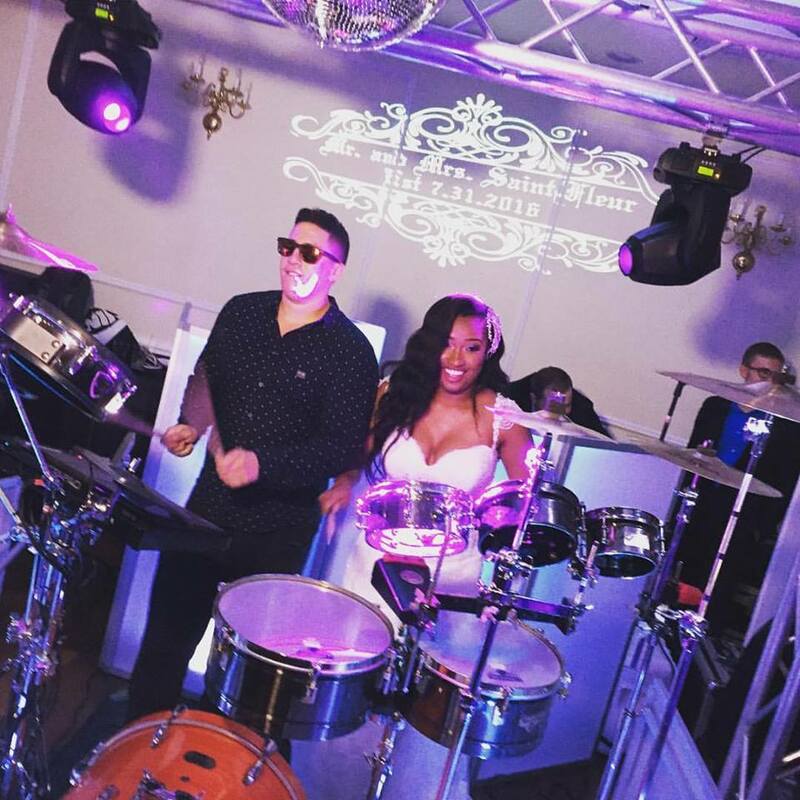 We also booked a percussionist through Sound Active Events who complimented our DJ and provided an interactive live aspect to our entertainment that everyone loved. The planning process was very simple and easy. 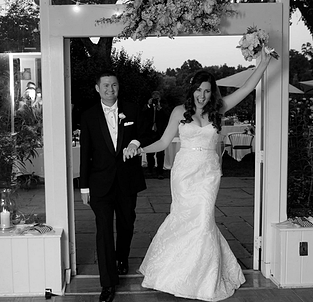 We were set up with an online system that let us keep track of all our individualized wedding details. 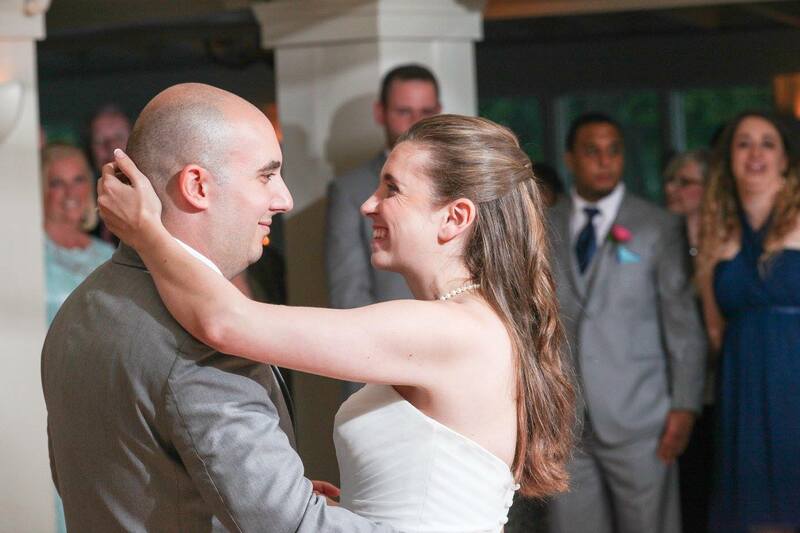 We were able to edit our music choices and reception order easily without having to call Anthony everytime. As we got closer to the wedding date, Steve and I decided we were going be introduced to the reception and go immediately into our first dance. This meant that Anthony had to create a custom looped version of our first dance song and he worked with us to get the timing down pat. Final verdict: The entertainment was perfect and our experience with Sound Active Events was flawless. I would recommend to anyone! Where do I begin? 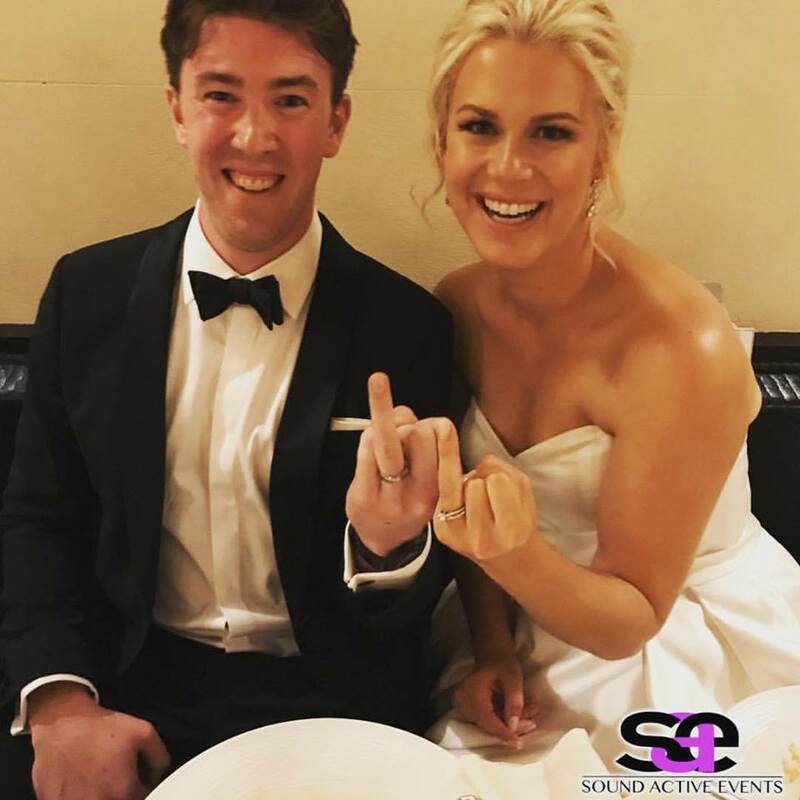 Sound Active Events was one of the BEST vendors we had at our wedding. I love that their packages are tailored to you and so you get to chose what it is you really want. We had the DJ/MC, Gobo, Percussionist, lighting, Cloud 9 etc in our package. If you want your wedding to be spectacular make sure you have a great MC and DJ because ppl will remember if they had a good time or if it was boring (besides the food that’s what ppl remember and rave about). Anthony was just beyond amazing. I can’t begin to acknowledge how much he helped us with the details of the wedding. I have to say I love the layout of his online event planning account because it outlines every step of your wedding from the ceremony to end of the reception. 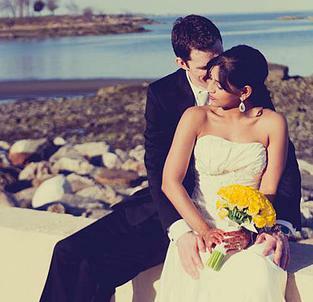 If you do not have a wedding planner this is the place to go! I did not have a planner and they made everything come together so beautifully. 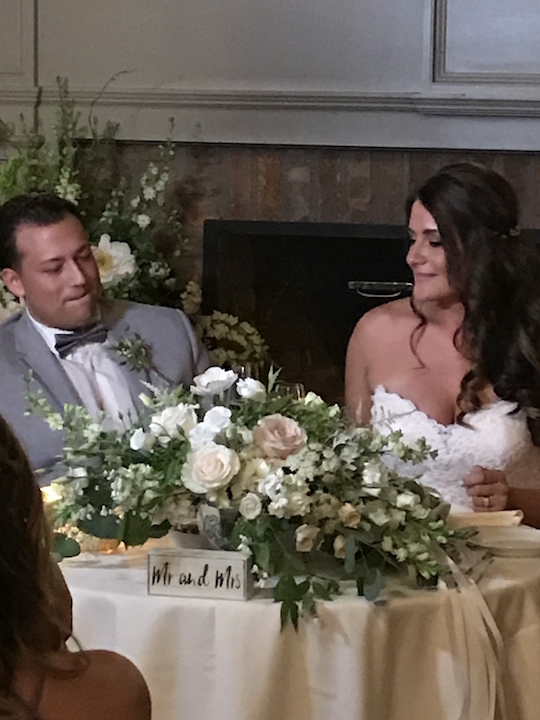 He had my wedding party line up for the reception in the correct order, knew everyone by name, it just all came together beautifully– especially since the location of our wedding changed to inside rather than outside it could’ve gone a whole lot worst not having a planner. 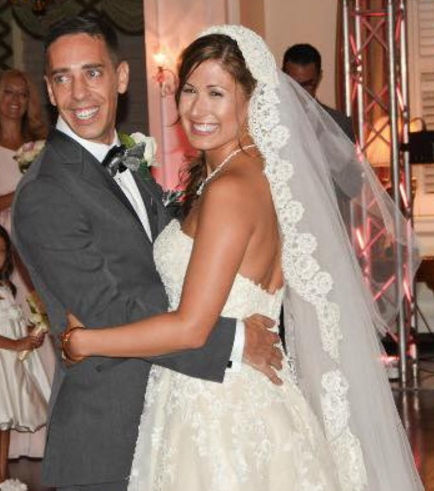 I also didn’t have to tell him what to say or what music to play and our wedding was of mixed culture (I’m Chinese Jamaican, my husband is Haitian and our friends are from all over the world, no exaggeration). Everyone had a great time and everyone was dancing. It takes a skilled MC and DJ to have everyone regardless of culture and age on the floor. I recommend you get the percussionist like we did. It’s unique. I certainly enjoyed and they even had me play with them! I felt like a star and had our guests astonished. It also made for a great picture and video. You could see the joy on my face. No, I am not a musician or had prior experience but they sure made me look good lol. The workers at the venue said it was the best wedding they have ever seen so far even they were having a good time. And things work out great when everyone is having a grand time. What stood out the most for me was that he treated us like family. As the bride there will be times your guests will take you away for pictures or well wishes and it will sometimes get overwhelming when you can’t say no and the program must go on. Anthony rescued me a number of times. Also we did not have first dance music until the evening before the wedding and we ended up choosing 3 different songs cut and pasted at different points. Anthony called me and sat with me on the phone while we figured out where to stop and start each song so it could be one seamless song!!! He would fix and play back so I could hear exactly where I wanted to start and end. He sent us the edited song so we could practice within an hour!!!! If this isn’t the best service I don’t know what is. Any event we have in the future this is where we will go, Sound Active. You cannot beat the quality and we shopped around for months. There’s nothing like them out there. I knew something was different when Anthony greeted us the first time with a hug ( and every time thereafter). I almost forgot, one of their DJs, DJ Shortkutz is very popular and plays around the city and in St. Maarten and is very good. 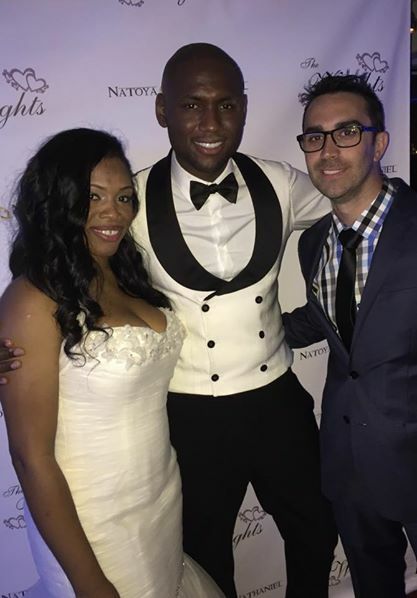 I checked him out and was eager for him to play at my wedding but the day before the wedding I was told he was unable to do so because he had a bigger engagement (St. Maarten). I was a little disappointed but the DJ who replaced him was great! Excuse long post. They were a lot of fun and had all my guests dancing! My husband and I wanted to take the time to write this review and point other couples in the right direction. 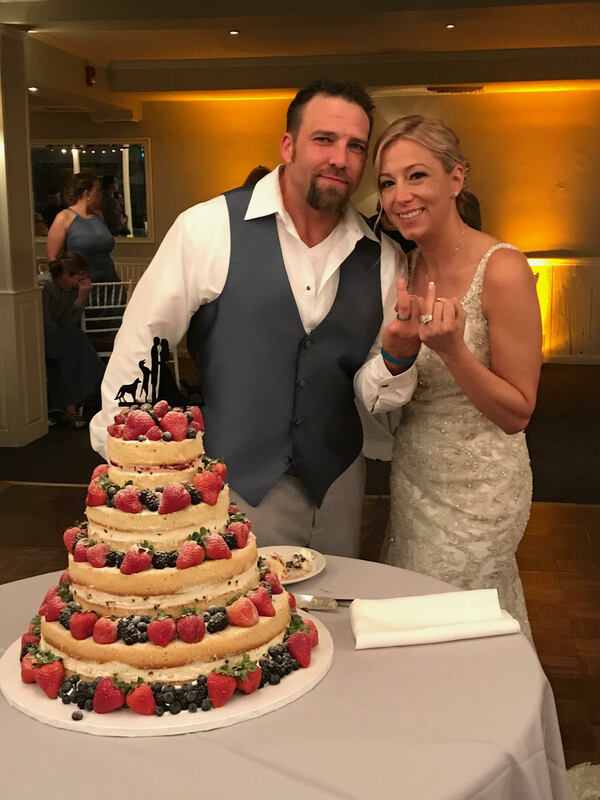 We were married last July at Crabtree’s Kittle House (also amazing) and according to our guests feedback, it was the best party ever! From beginning to end the dance floor was packed- we had outdoor activities that our guests didn’t see because they didn’t leave the dance floor! These guys went above & beyond. They worked with our budget and had many options to choose from. They had great sound, lights, host, and the sax player showed up on the dance floor at all the right times. 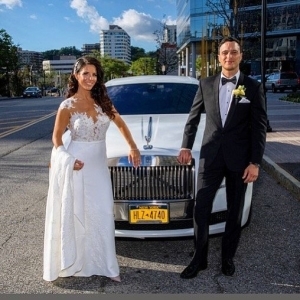 They are the best of the best in Westchester and are guaranteed to get your friends & family having an amazing time from beginning to end. 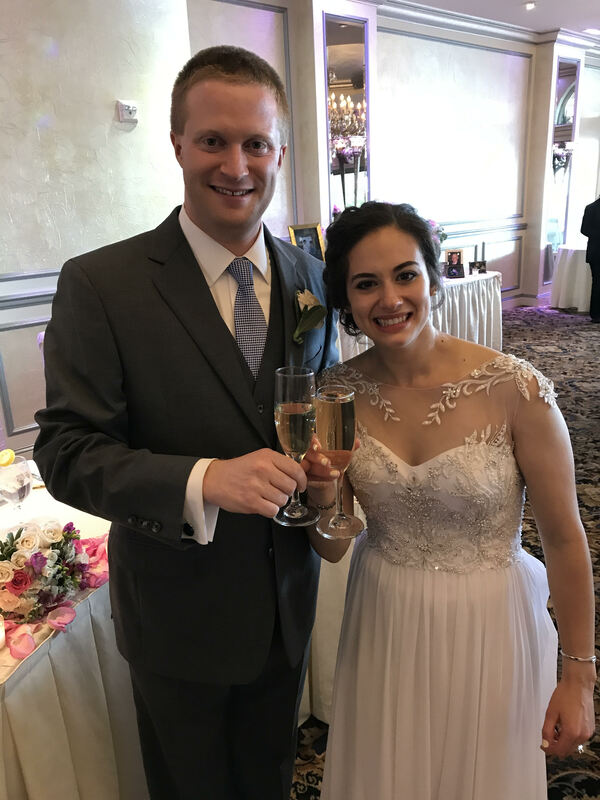 This is going to be long because everything is worth talking about – Anthony is very easy to work with – quick to answer emails/phone calls, and his login system where you can add all the ceremony/reception song info, request songs, and create a no play list is GREAT. For the ceremony, we got the harpist, who I just adored. She was so nice, and helpful in choosing songs, plus I randomly found a song on the internet I thought sounded cool, and she offered to learn how to play it for the wedding! IT turned out it was this Icelandic pop song (Hoppipola by Sigur Ros), and I couldn’t believe she was not only able to find the sheet music for it, but willing to learn it (I ended up choosing normal classical music, but I know she would have done an amazing job with anything). She played beautifully and all my guests commented on how great she is. Shes’ perfect if you’re looking for something different than the standard string quartet. For the reception, we made last minute changes to the order of people, and Anthony handled it perfectly, acting like it was totally NBD. 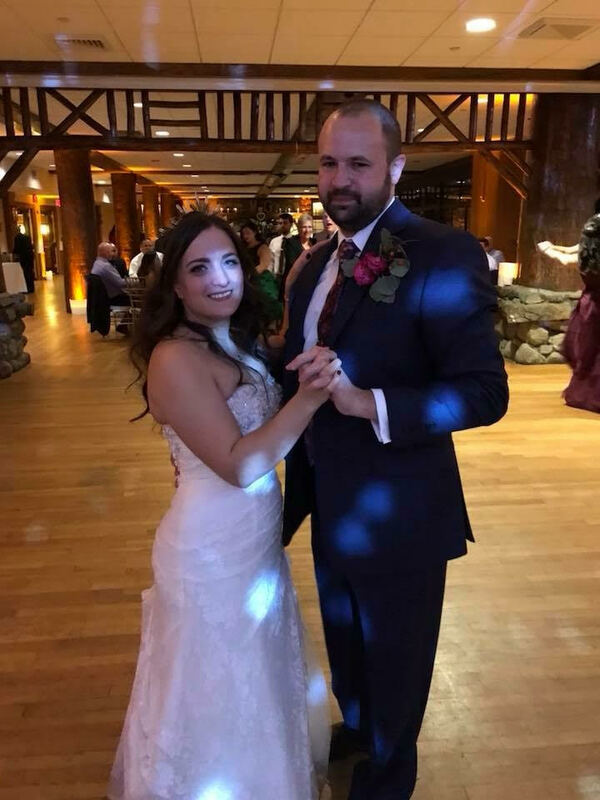 PLUS, my maid of honor had this crazy song/dance for her speech and the DJ somehow managed to perfectly sync the song to her lyrics – raising the volume for the chorus parts, bringing it back down and using just the music for the rest. I have no idea how they coordinated it so perfectly – but I guess they’re just THAT good! And the photobooth – such a HUGE hit. My mother was ery skeptical of the whole idea but I pushed for it, and early in the night, I see her and her whole family holding props and taking crazy pictures. She LOVED it (as did all the guests!) I’m so happy to have all those pictures. Finally, of course, everyone was dancing all night – loving the saxophone player and the singer we added on. They did a great job of mixing in oldies with top 40’s, sticking to my no rap stipulation, and just generally making it an awesome night. I’d recommend them to anyone! If you’re looking for a full service DJ for any event, stop looking and contact Sound Active Events! 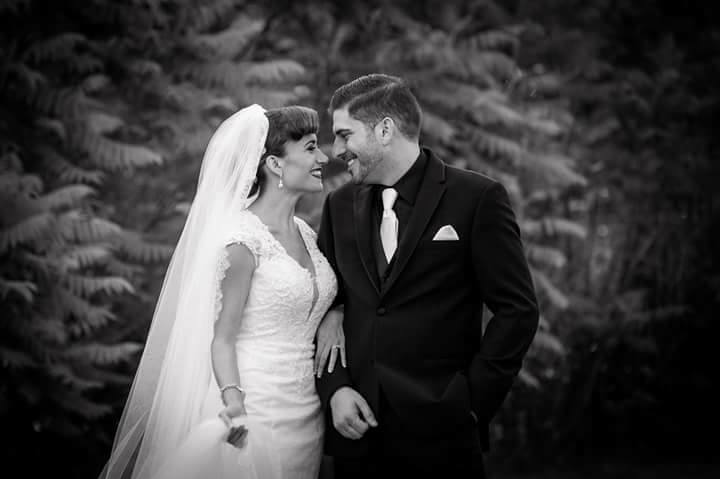 Anthony and his team were fantastic and helped make my dream wedding come true. I originally thought I wanted a band, but when I saw SAE offered live vocalists and sax player, I was sold. We got endless compliments about the sax player and vocalist as well as the music. The dance floor was absolutely packed all night by our guests of all ages, from 9 to 70. 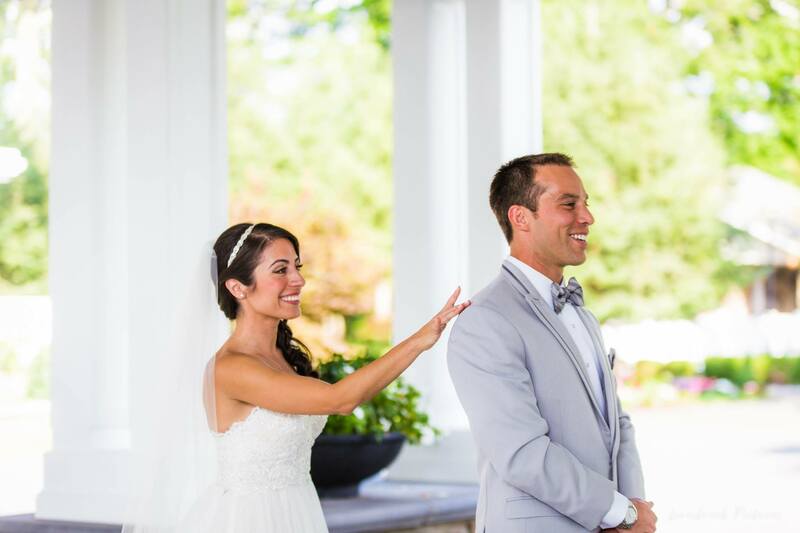 Anthony was a true master of ceremonies and coordinated all events during the reception seamlessly. 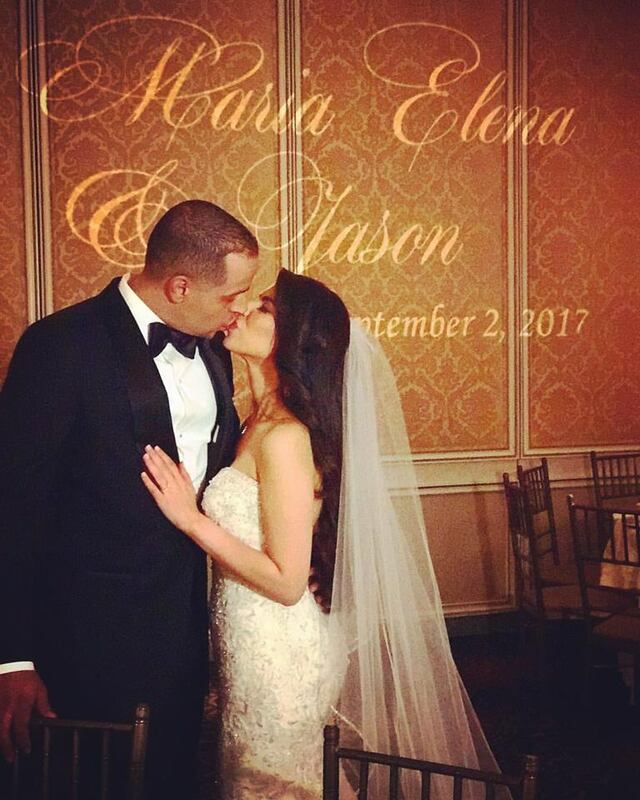 We also used SAE for our ceremony music, cocktail hour music, photo booth, and candid photos. Everything was perfect. The ceremony music was exactly as planned. We picked a few songs that were only available on YouTube, and they were played perfectly. SAE brought awesome props for the photo booth, and the pictures came out amazing with our custom back drop. We were given the digital pictures of both the candid shots and the photo both right after the reception ended; I loved being able to share them on Facebook the next day. The planning process was also seamless. Anthony was super responsive to any questions or requests along the way. The online questionnaire form helped keep us organized and provide all of the important information. Thank you SAE for rocking our wedding! 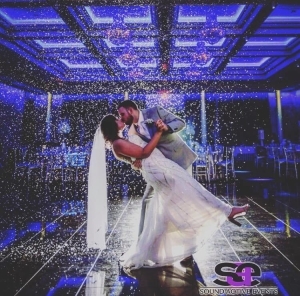 Dj Shortkutz and 3 String Media Group Dj’ed my wedding this past Sunday at Seasons in New Jersey, we couldn’t of been happier with the job they did on our special day! Everything was timed perfectly, they keep everyone dancing till the very end! It was such a fun amazing day thanks to the help of 3 String Media Group and Dj Shortkutz and his crew love you guys! will deff be using u again. Sound Active Events deejayed my wedding in 2008 and it was a day I will never forget! Sound Active Events were so accommodating and did everything I asked them to do. They played a wide range of music and had everyone dancing all night long. I could not have been happier and would highly recommend them to anyone!! !